Nestled on a remarkably private cul-de-sac lot within the prestigious community of Frenchman’s Creek in Palm Beach Gardens, Florida is this impeccably renovated lakefront home. Comprised of 3 bedrooms and 5.5 bathrooms, this Frenchman’s Creek marvel sprawls over 3,600 square feet of masterfully crafted living space. Suited to the most discerning Chef, the fully equipped professional grade kitchen offers a full suite of top-of-the-line stainless steel appliances including a wine chiller, double wall oven and an over-sized Sub-Zero refrigerator. Equally impressive are the two amazing Master suites, both boasting a number of desirable features including spacious walk-in closets, sitting areas, patio access and spa-inspired marble clad bathrooms. 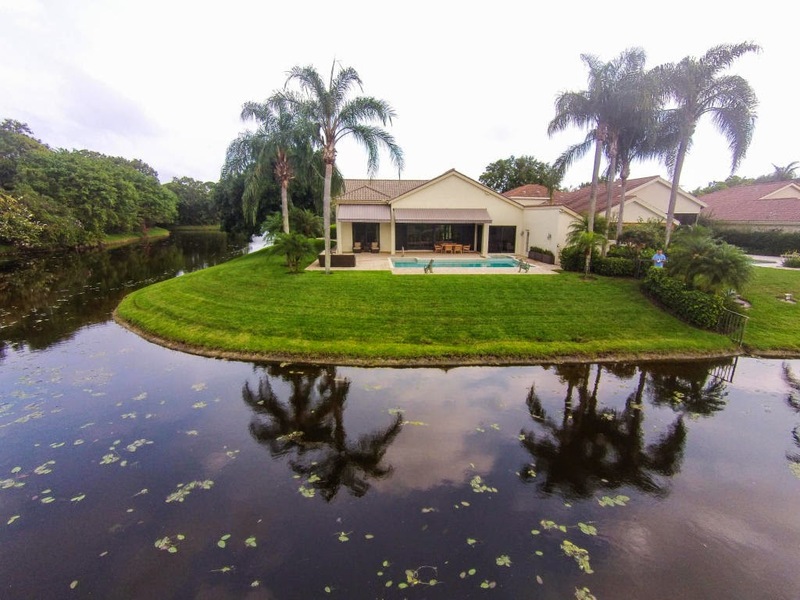 Outside, the meticulously landscaped backyard provides a serene lakeside retreat with its covered lanai and extended patio, heated pool with Jacuzzi and splendid golf course views. Additional features include vaulted ceilings, marble and hardwood flooring, over-sized family room, formal dining room, great room, impact glass, electric shutters, a generator and a 3-car garage. 13885 Le Havre Drive is located in Palm Beach Gardens and is currently asking $2,249,500. This Frenchman’s Creek listing is courtesy of Leibowitz Realty Group, Inc./pbg MLS# RX-10123889. Frenchman’s Creek is an exclusive country club community located in the picturesque city of Palm Beach Gardens, Florida. Residents of this remarkable gated community have access to an amazing array of first class amenities including two championship golf courses, 17 Har-Tru tennis courts, 24/7 spa and fitness center, an exquisite clubhouse and onsite dining. Ideally situated in the heart of Palm Beach Gardens, just minutes from the pristine beaches of Juno Beach Frenchman’s Creek also offers residents a premier location just moments away from the area’s signature elements including PGA Commons, Gardens Mall and Jupiter’s Harbourside Place.